Dremel has unveiled a new model in its DigiLab line of fabrication tools targeted toward advanced education users. The new 3D45 is a 3D printer that offers support for expanded filament types, including nylon, polycarbonate, PLA and EcoABS, a form of ABS that is produced in an "environmentally sustainable" manner. The 3D45 supports macOS and Windows operating systems and can work with .stl and .obj files. "Our five 3D40 printers in the College of Engineering makerspace have about 800 hours of use per unit, totaling 4,000 hours of printing," said Eric Schmidt, director of the College of Engineering Makerspace at the University of Illinois at Chicago, in a prepared statement. 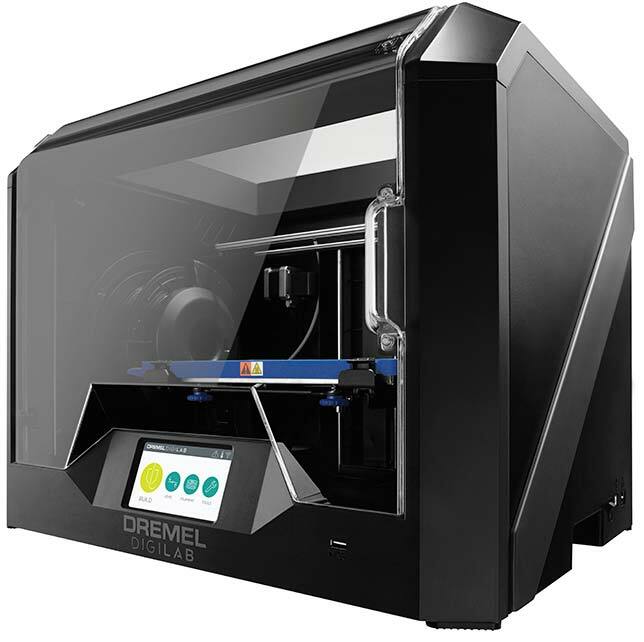 "Dremel printers can stand up to the constant flow of students making parts for their projects. We are excited about this next level of manufacturing with the 3D45." The DigiLab 3D45 is available now for preorder with an MSRP of $1,799 and is expected to ship in September. Further details can be found at digilab.dremel.com.